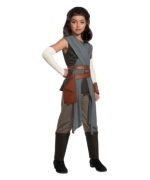 Star Wars Rey Girls Movie Costume includes top with attached scarves, pants with boot tops, 3-D belt, arm warmers and 3-D cuff. Available in child sizes Small (4-6), Medium (8-10) and Large (12-14). 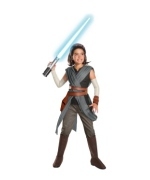 Costume is an officially licensed product of Disney company. 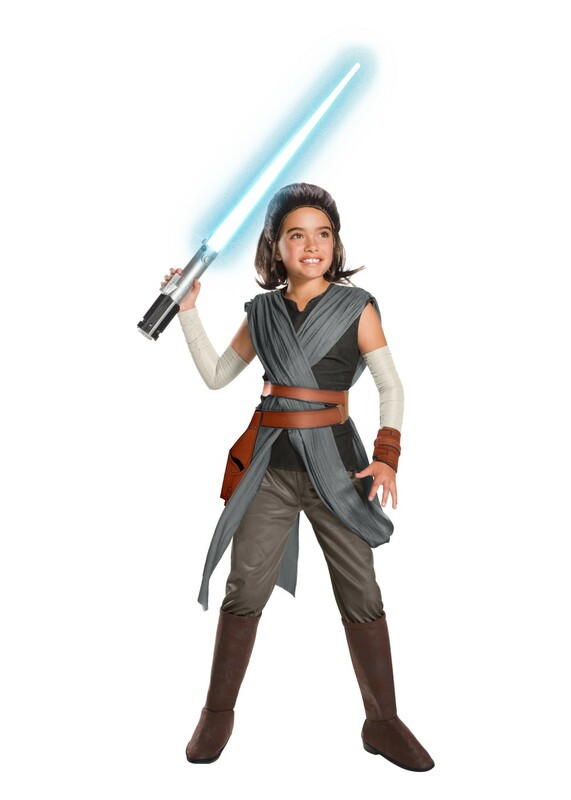 Step into this costume and become the next Jedi! 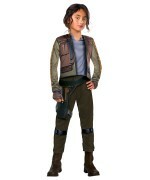 You-ll scavenge the galaxy and represent the Resistance with this attire and accessories. Pair with a light saber and let the force be with you! 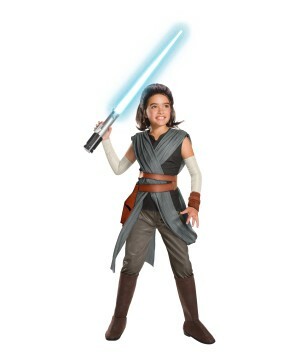 Review(s) for " Super Deluxe Star Wars Rey Girls Movie Costume"